Days before Christmas 1978, Peter Walker, a young English lay preacher, is killed in a motorcycle accident. His wife Mary, already emotionally fragile, falls into the depths of suicidal depression. As a result she loses custody of her two young boys, Paul and James. The boys are further traumatized as they are taken under the care of the county authorities and placed in a series of children’s homes and in a temporary foster placement with their grandparents. While James clings desperately to his Christian faith and the hope of being reunited with his mother, Paul rebels by fighting and committing petty crimes. Through the intervention of her church community, a dedicated social worker, and a caring Christian therapist (played by Bruce Marchiano), Mary uncovers a flicker of faith, still burning beneath the darkness. As she heals emotionally, hope returns, along with the strength to fight a skeptical bureaucracy for custody of her children. 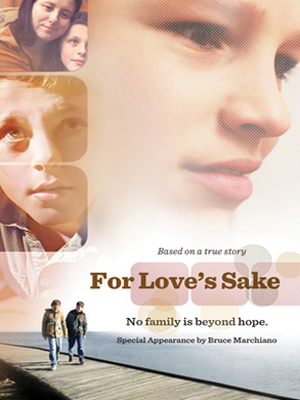 For Love’s Sake offers an honest and emotional glimpse inside a broken family. In their frailty courage comes only through a power beyond themselves. 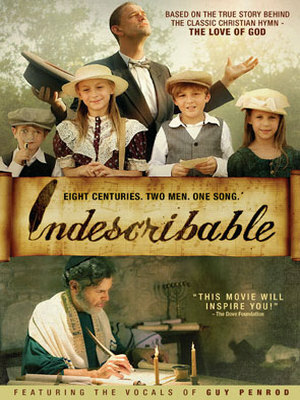 The story powerfully demonstrates that through the healing power of Jesus Christ, no family is beyond hope!